During the first twelve weeks of pregnancy acupuncture can help to ‘hold the embryo’. This is recommended for women undergoing I.V F treatment and where there is a history of unexplained miscarriage. It is helpful in the management of stress and anxiety. 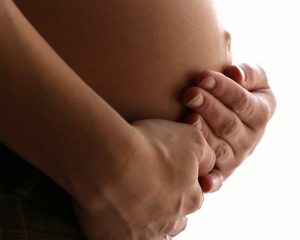 Acupuncture is also beneficial in relieving nausea and other ailments that arise during the course of the pregnancy. In the case of breech presentation or other malpositions, moxa treatment which is a gentle form of heat application to the acupuncture point is a safe method of correcting the position of the foetus. Studies undertaken by midwives in New Zealand where acupuncture is now widely used in pregnancy have concluded that acupuncture is a comprehensive means of reducing the risks associated with pre eclamptic toxaemia. Since the introduction of acupuncture during the last four weeks of pregnancy in New Zealand midwifery records have demonstrated a marked reduction in caesarean sections and forceps intervention. It has been found that acupuncture is most beneficial in the preparation of the uterus and the cervix for labour. If labour is overdue acupuncture is a safe and relatively more comfortable means of inducing labour. Vera has many years experience as a nurse and midwife. She is also a founder member of the Zita West Network which specialises in Reproductive Health. This network facilitates the sharing of knowledge and expertise with other members in Ireland and the United Kingdom. She regularly attends appropriate courses related to pregnancy to keep up to date with current developments.